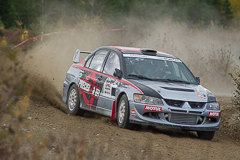 As the Canadian Rally Championship headed West for the Pacific Forest Rally - the first of two rounds in British Colombia - Antoine L'Estage was in the rare position of looking to rebound. 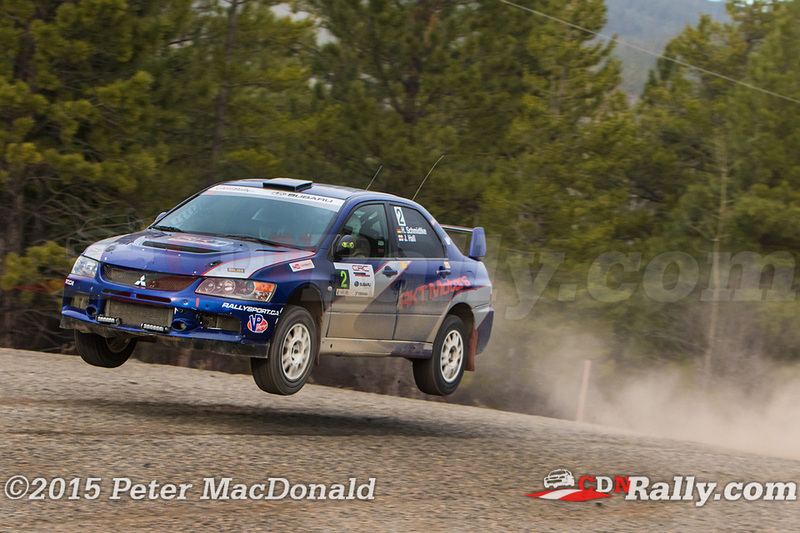 After a disappointing (and rare) mechanical DNF at Rallye Defi more than a month earlier, L'Estage arrived in Merritt with just a six point lead over second placed Joel Levac. And L'Estage and Alan Ockwell got off to a flying start, opening a one minute gap from second before the morning loop even finished. By the end of the first day, that gap would widen to three minutes as L'Estage and Ockwell dominated every stage. 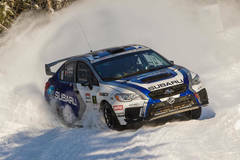 The Subaru Rally Team Canada pair cruised through much of the second day as well, and looked to push hard right to the end of the event. 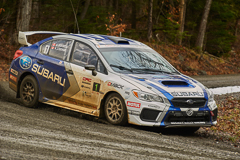 But their great performance almost came undone with just three stages to go, when a hard compression caused major damage to the left rear suspension. With the car in no condition to start the next stage, L'Estage and Ockwell were forced to conduct major roadside repairs, using ratchet straps to hold the broken suspension components in place. 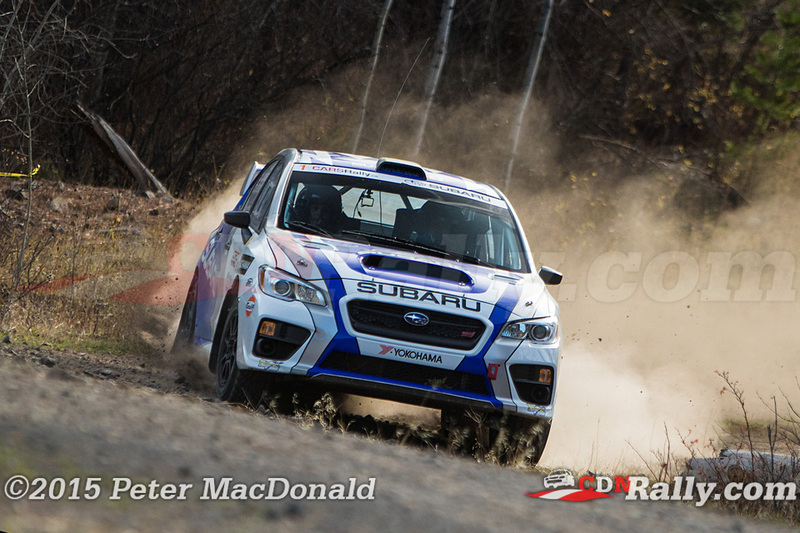 After limping through the penultimate stage of the rally, the pair made it back to service, where the Subaru Canada team rushed to repair the car in time for the final stage. And despite losing a large chunk of time, L'Estage and Ockwell still won the rally by over three minutes. 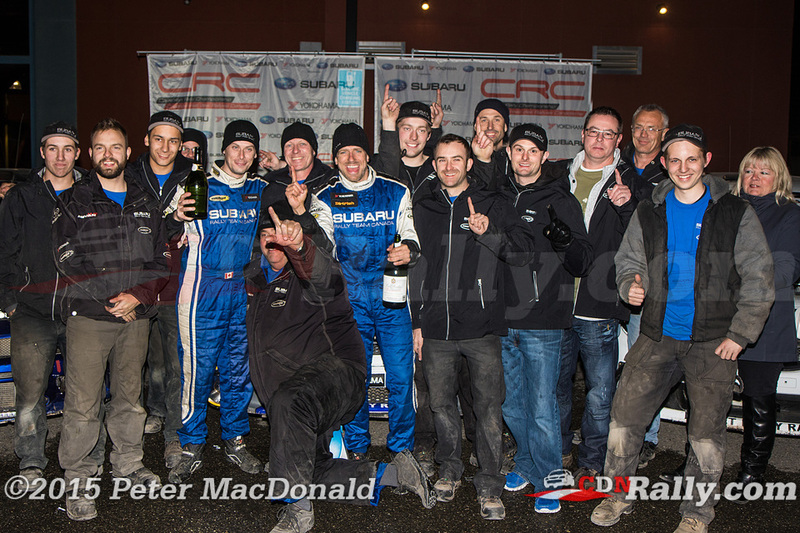 "Thanks to everyone on the Subaru Rally Team Canada team and Alan Ockwell who was perfect in the silly seat once again," L'Estage posted on social media after the event, "big team effort and big win at the end!" 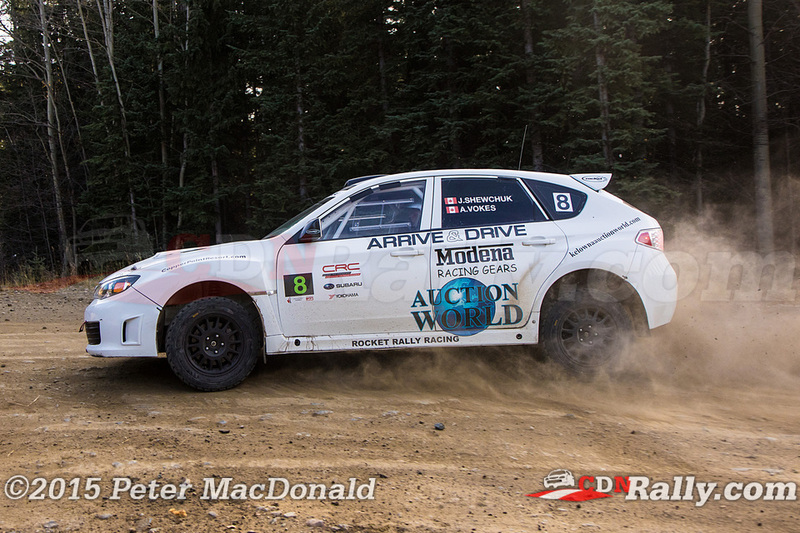 Western Canada veterans Hardy Schmidtke and John Hall had control of second place right from the get go. 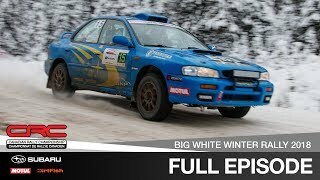 They were only challenged by Dave Nickel and Aled Edwards, who were absolutely flying in their 2008 Subaru WRX. But as Nickel pushed hard through day 2 to try and catch the Mitsubishi crew in second, he approached a corner too aggressively, turning in too early, catching the right front, and rolling twice. With Nickel out of action, Schmidtke was able to cruise to a dominant second place finish. Boris Djordjevic and Chris Kremer had been challenging Nickel for third on the first day of the event, and would have stood to benefit from his crash. 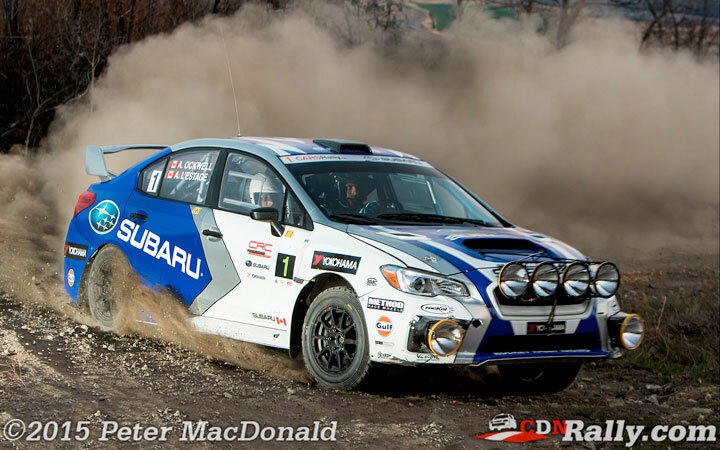 But they suffered a flat tire on the first stage of day 2, costing them several minutes in repairs. Suspension damage on the following stage would put Djordjevic down the order and out of contention. 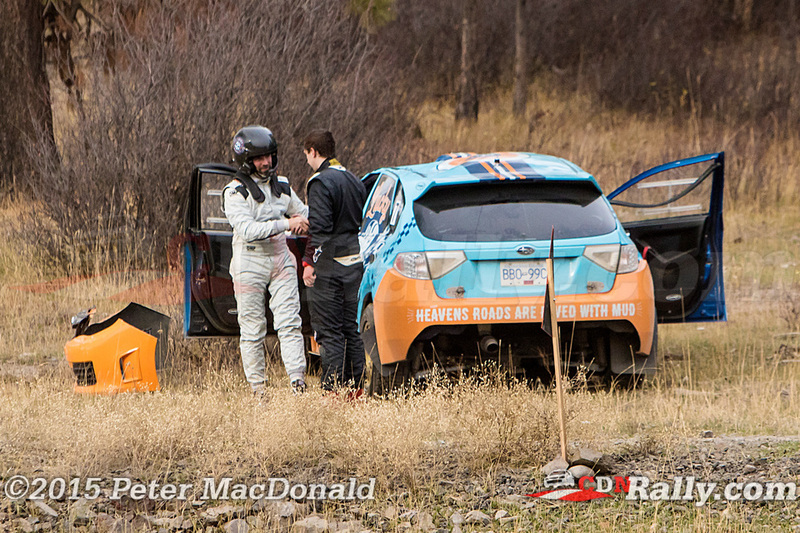 As a result, third position was handed to Kenny Wahl and Aaron Neumann, who had been well back in fourth prior to the crash. 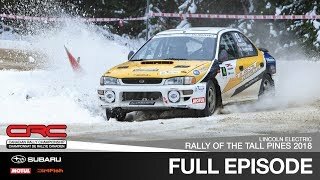 But after putting down some excellent stage times as the rally came to a close, the pair rolled on the final stage, missing out on a podium finish. With Wahl crashing out, Josh Shewchuk and Adam Vokes took over the final podium position. It was the first national podium for Shewchuk, who had a hard time on the first day while attempting to get used to a new car. 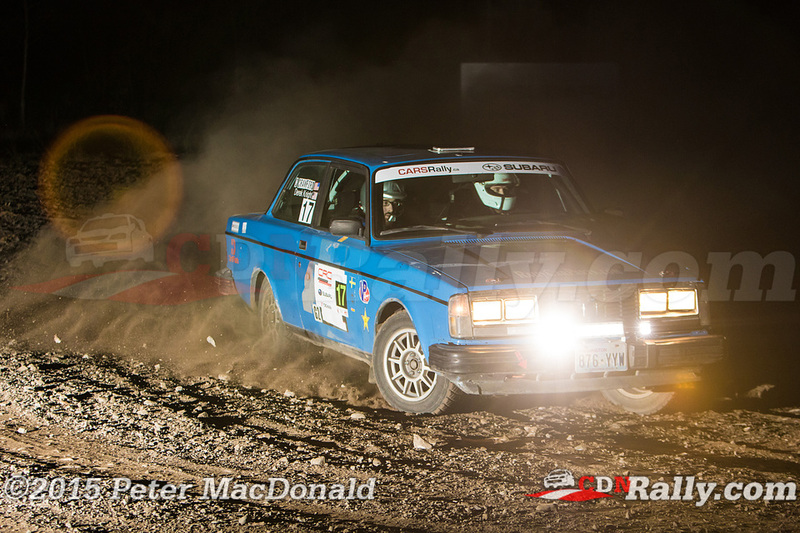 The learning curve was compounded by the fact that he was losing power steering intermittently, and so the very technical stages gave him quite a workout. The second day went much smoother for the pair, and with a little luck they ended up in the top three. 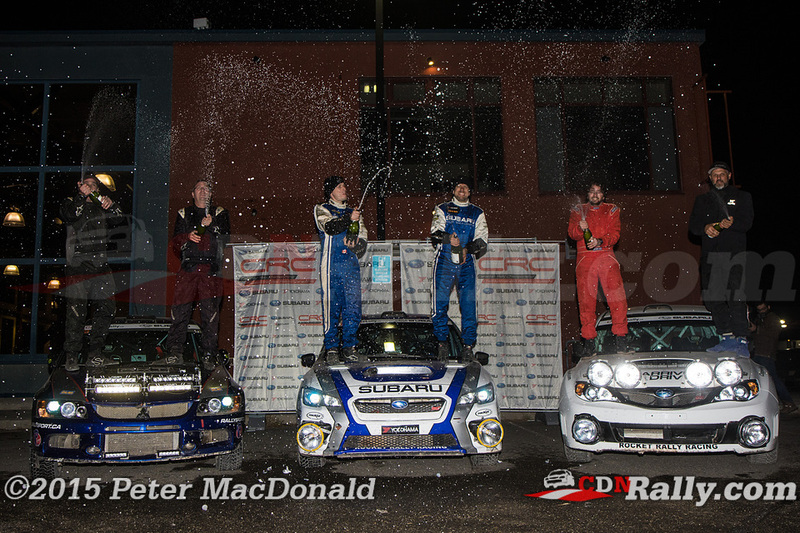 Dave Clark and Billy Irvin dominated the two wheel drive category. 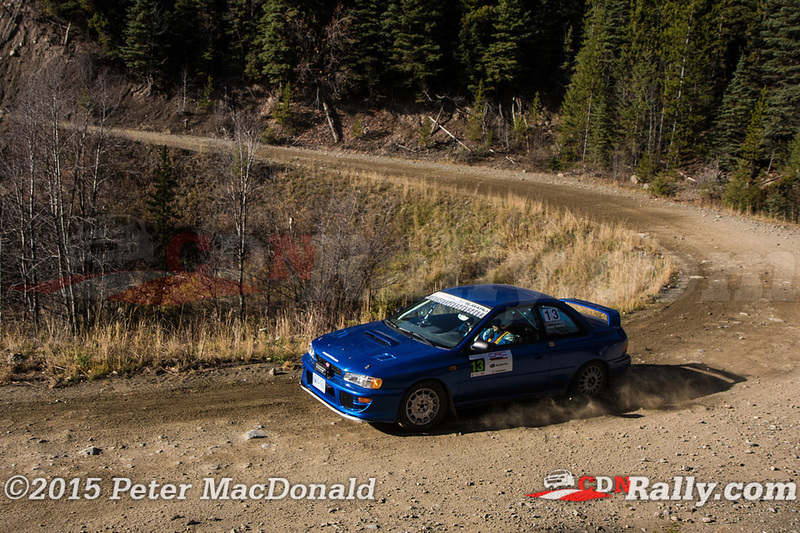 Despite a few moments here and there, Clark was extremely comfortable with the car by the end of the event, finishing higher in the overall standings than many of his four wheel drive counterparts. 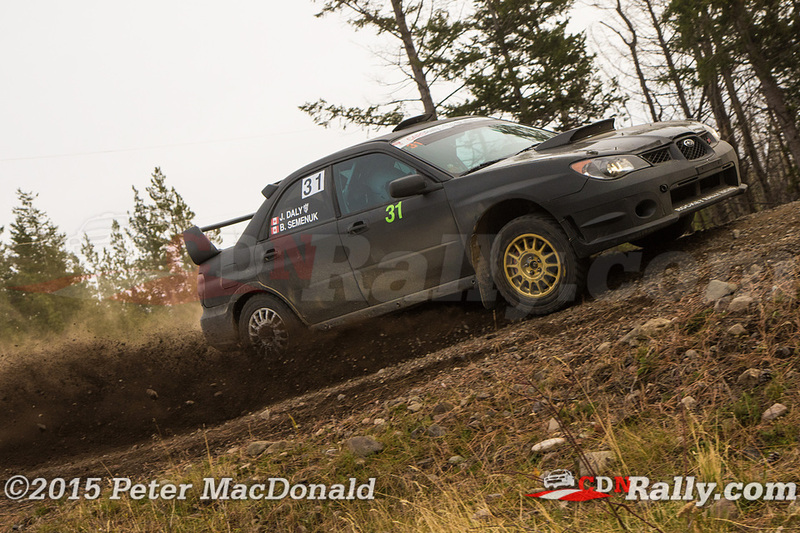 Derek Nelson and Adam Newell looked set to finish second after a great first day, but rolled their Subaru BRZ early on day 2. Unfortunately, there was too much damage to the car for them to continue. Jason Bailey and Michael Milos finished second in class after Nelson's roll. 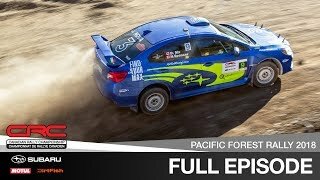 Their Scion FRZ86 had some fuel delivery issues through the final handful of stages, but they fought through it for a well deserved second place finish. 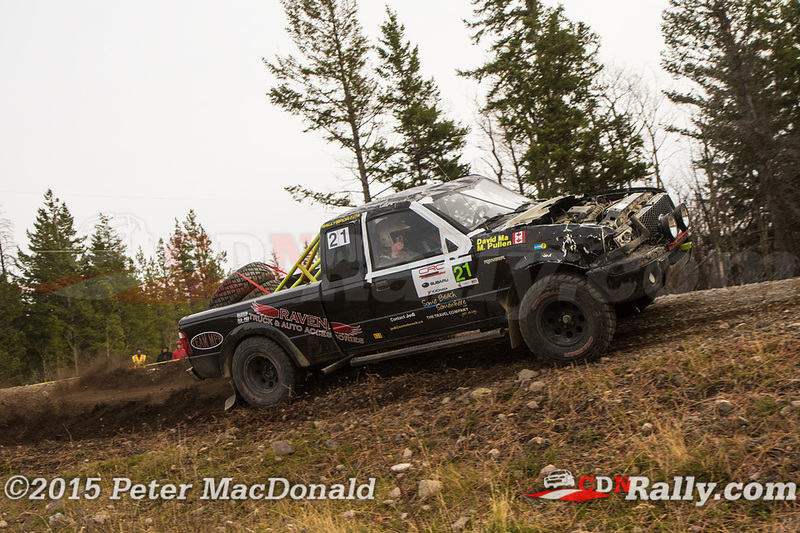 Former class champion Eric Grochowski and rookie codriver Bill Debreuil rounded out the 2WD podium in third place. 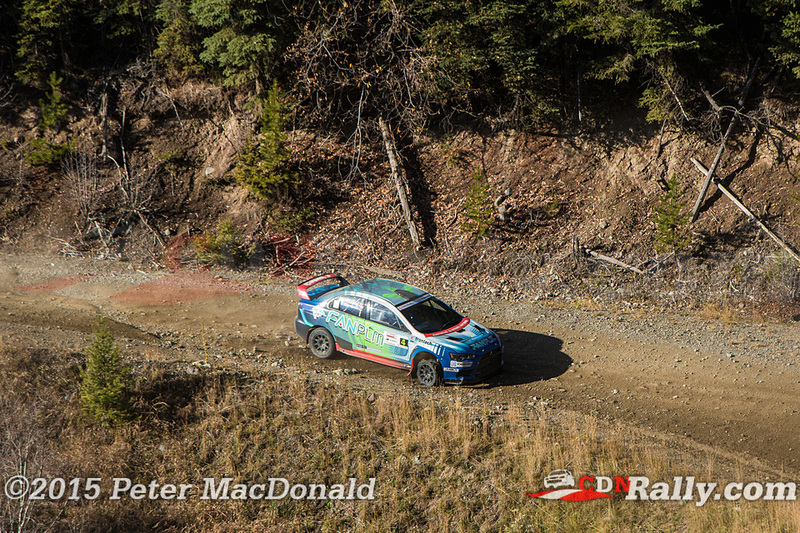 The Toyota crew were in tough on day 2, when they lost brake pressure for almost an entire loop of stages. 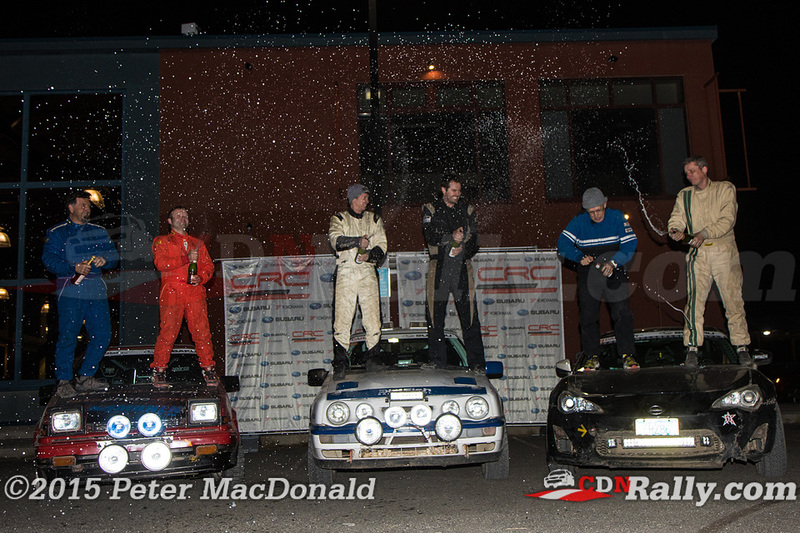 But they persevered and were rewarded with the final podium spot in the category. For Grochowski, it was his first national event since winning the category title in 2012. 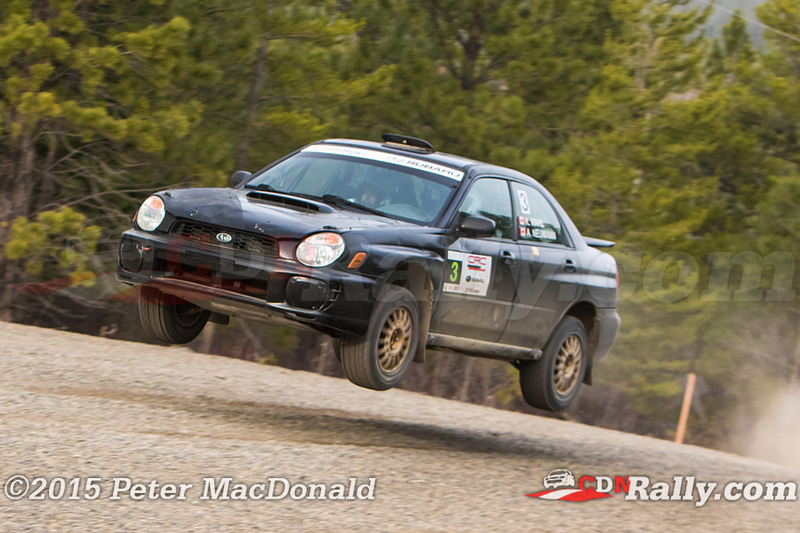 The Canadian Rally Championship stays out west, with the Rocky Mountain Rally getting underway this coming weekend in Invermere, BC. 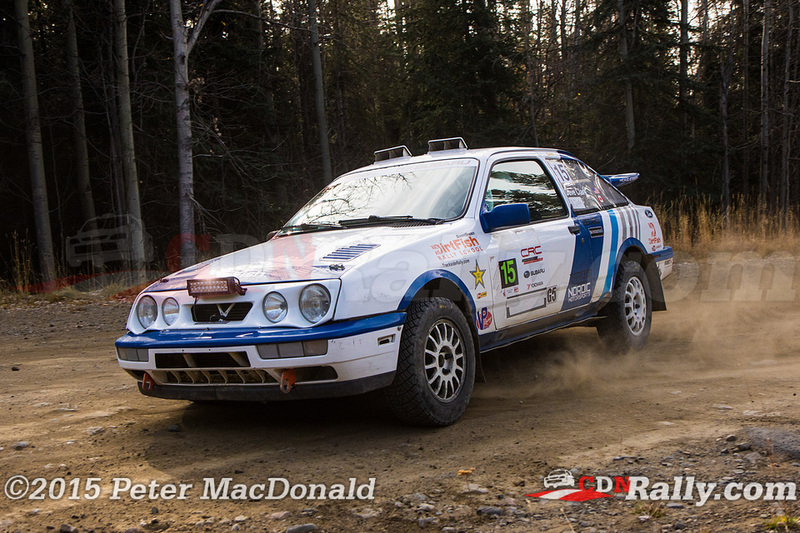 With Antoine L'Estage's closest competition, Joel Levac, electing not to take part in the western events, L'Estage simply needs to finish sixth or higher to clinch yet another Canadian Rally Championship title.